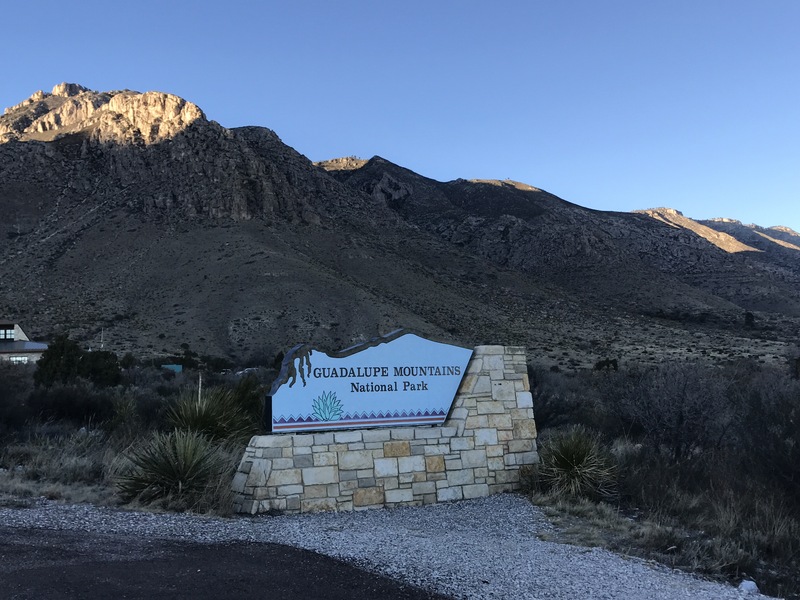 We arrived at Guadalupe Mountains National Park (Texas) shortly before 5:45pm; or at least that’s what time we thought we’d arrive. We were surprised to see shortly before the park that we crossed into the Mountain Time Zone, so it was actually 4:45pm. It was also in the 40s heading towards the low 30s as the sun set, a far cry from the 60s in Big Bend; making it seem much farther away than the easy four hour drive. 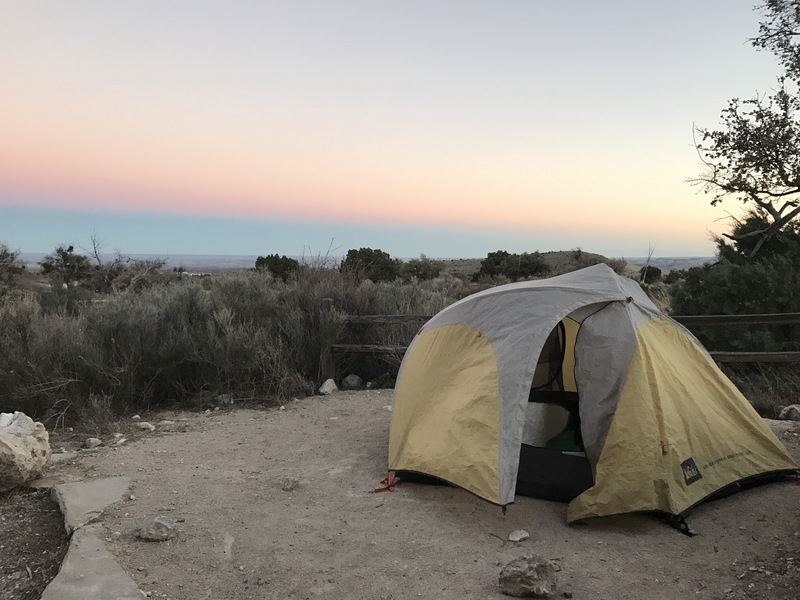 We bundled-up, set-up camp and ate some macaroni and cheese before crawling into the warmth of our sleeping bags. 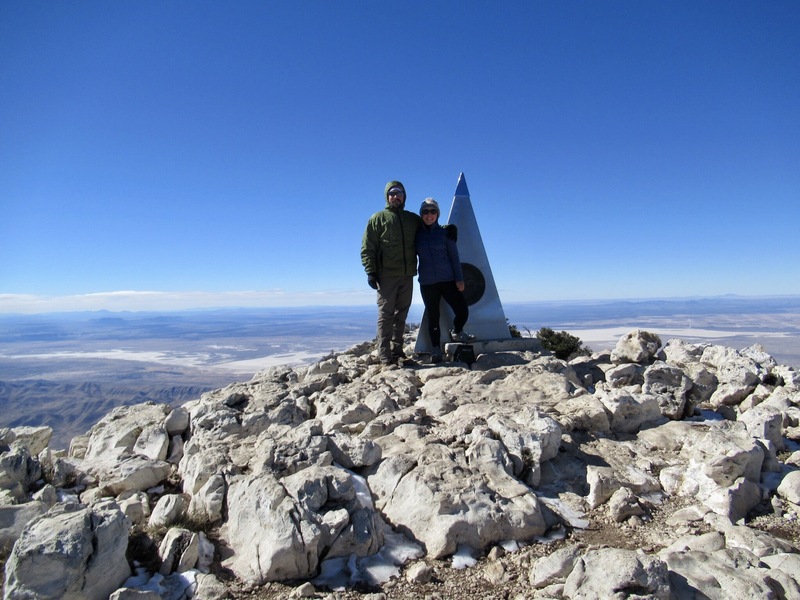 The next morning we packed our day packs and eagerly set off to climb Guadalupe Peak, the highest point in Texas at 8,751 feet. 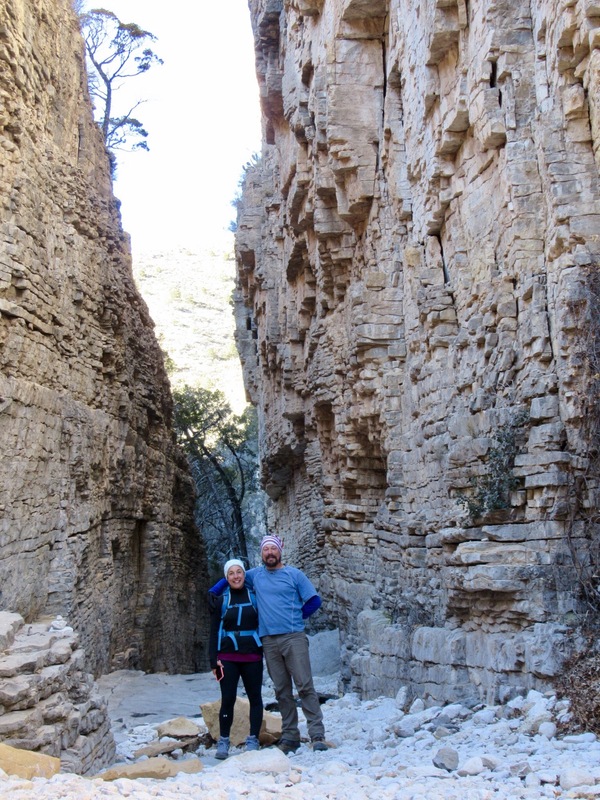 Until a few days prior we had never even heard of Guadalupe Mountains National Park. 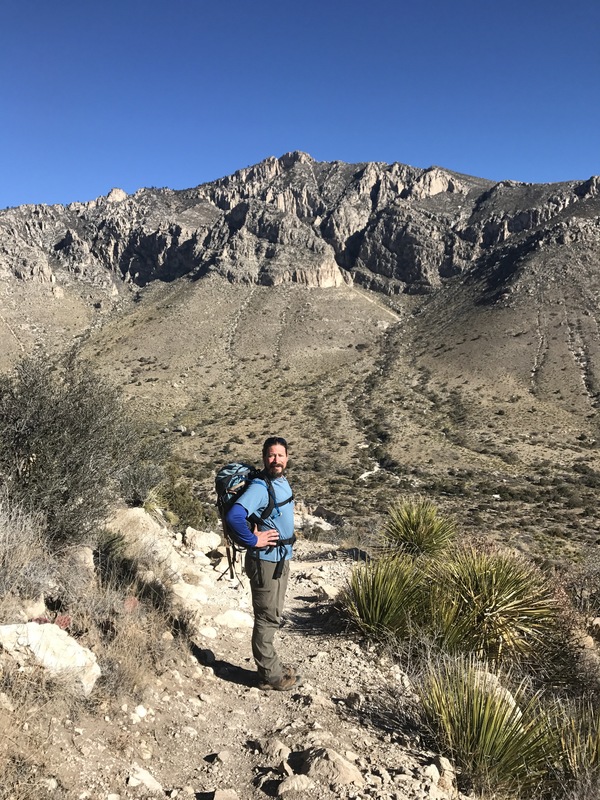 While leading through some maps at Big Bend we saw that it was on our way towards Arizona, and once we saw that the highest peak in Texas was there we had to go! The weather was comfortable, and we enjoyed the 4.25 mile trail to the top. We hit a few patches of ice and snow in the shadier parts of the trail, but it was all easily passable. We made it to the top before lunch, and took in the views before scampering down out of the wind into a sunny spot for lunch. We were feeling good, so on the way down we diverted off a side trail to Devil’s Hall. We weren’t sure what to expect, but wanted to do a few more miles and the guide said it was a beautiful hike. 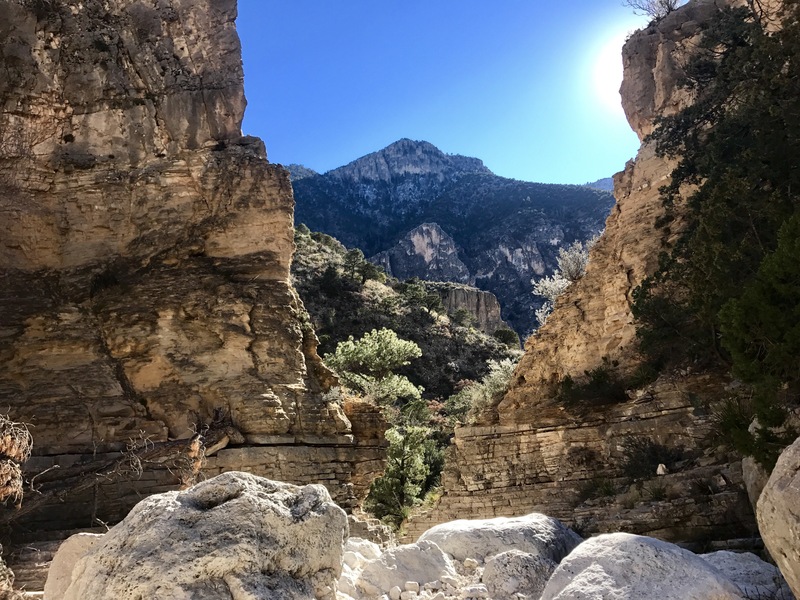 Guadalupe Mountains are part of a fossilized coral reef, and the area of Devil’s Hall showcases this history. 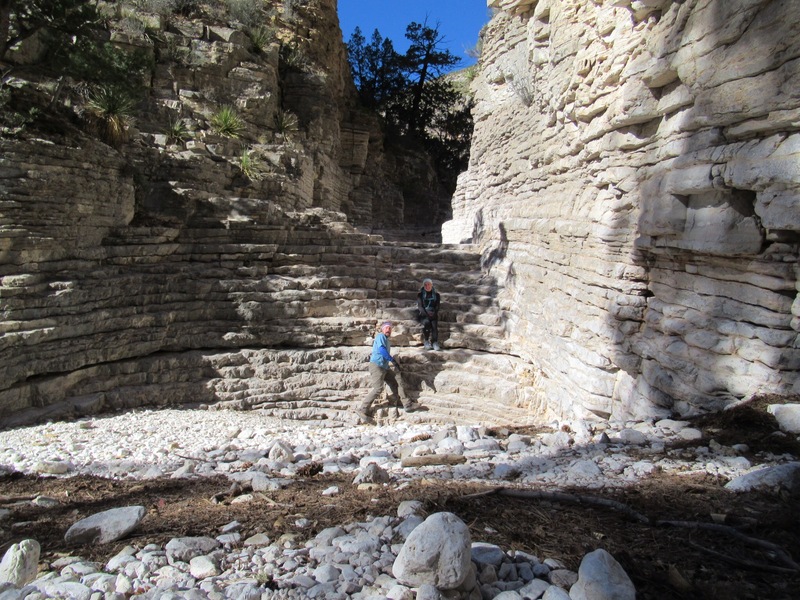 We saw layers of sedimentary rock, and were in awe standing in the natural amphitheater it formed. Shortly after, we entered the hall. It was a great way to end our day, and we worked up enough of an appetite to eat two diners that night! I’ve never heard of Guadalupe either, until now, but it certainly looks beautiful and very manageable for two experts like you! Have fun.